Holy Trinity was founded originally with a gift of 200 guineas from Queen Victoria. Other contributions made by the Duke & Duchess of Kent, Eton College, St George’s Chapel and Prince Albert allowed the construction of the Church to begin. The foundation stone was laid on 4 April 1842 by Prince Albert himself and it is rumoured that he later designed the main ceiling. Today those entering by the main door are greeted by a life-size statue of the Prince. Queen Victoria wanted the church to be built both for the spiritual welfare of her troops (garrisoned at Combermere and Victoria Barracks) and for the growing population of Windsor (particularly the poor who lived in the slums by the river—now Alexandra Gardens). In the early years the church both educated and fed the poor. There was a daughter church, St Saviour’s, nearer to the river - it was demolished with the slums and only the lychgate survives, now forming an entrance into Clewer Memorial Park on the Dedworth Road. Holy Trinity is probably the only parish and garrison church in the country and functions as a parish church being also used by the army chaplains for services. We receive no support from the MoD—its upkeep is entirely funded by the generosity of our congregation and visitors. The church was designed by Edward Blore (most well known for his work on Buckingham Palace). It houses many memorials including the panels on the gallery which commemorate the lives of the 2,116 Officers and Men of the Grenadier, Coldstream and Scots Guards who gave their lives in the Crimean War (1854-1857). On the panels on the ground floor there are 86 panels of the names of the 742 Officers and Men of the household Brigade who died in the Boer war in South Africa (1899-1902). Two other significant military memorials are to: John Siddall, veterinary surgeon for 53 years, who as the last surviving member of the Household Brigade of Cavalry present at Waterloo 1815; and Col Fredrick Burnaby who was an officer in the Royal Horse Guards and a famous adventurer. The largest memorial is the Guard’s Chapel, built in 1883, dedicated to the memory of those who lost their lives in the 1882 Egyptian Campaign. On poles around the gallery there are Standards and Regimental Colours (flags) of the Royal Horse Guards, Life Guards, Coldstream and Irish Guards. Two of the Coldstream colours were at the Battle of Waterloo in 1815. Although Holy Trinity is a garrison church it has (above the pulpit) a White Ensign (flag of the Royal Navy) which was presented by Lord Louis Mountbatten, Admiral of the Fleet and Honorary Colonel of the Life Guards when he made last public appearance on Sunday 22 July 1979 at Holy Trinity (he was killed in August 1979). 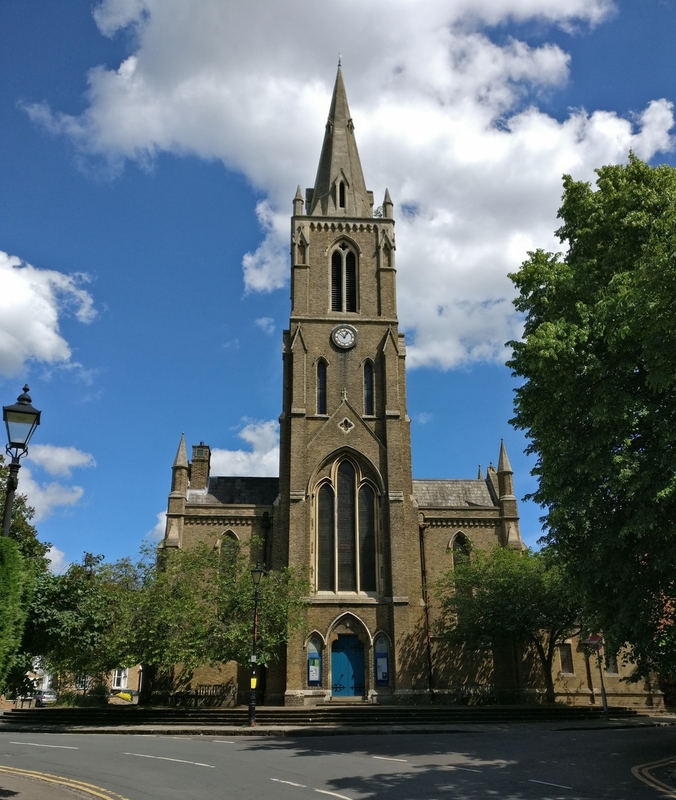 If you would like to visit the church but do not wish to worship with us please do come along just after 10:35am on a Wednesday, or on a first or third Saturday of the month the church is open between 10am & 12pm with coffee (and sometimes cake!) served in the Mountbatten Room. We hope to see you soon.